What will it take for us to reclaim our health? Simple shifts. That’s what all the green buzz about kale boils down to. Swap pretty much anything in your diet for kale and you’ve made a healthy choice. 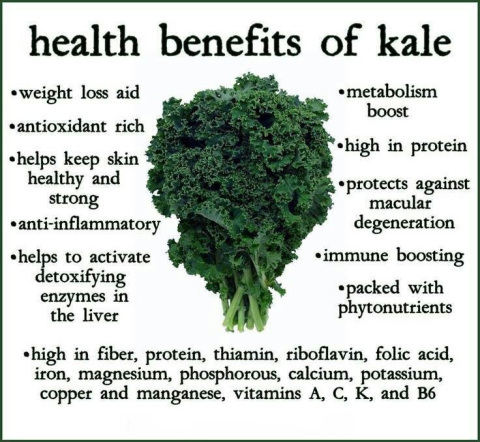 Kale is so nutrient-dense, delicious, and surprisingly versatile that it bumps up the nutrition in everything from smoothies and salads to pizza and popcorn. Yes, there is a miracle in kale’s crunch. Just a simple shift, say from a potato chip to kale chip, is a step from nutritional carbage to a delicious green snack filled with vitamins, minerals, fiber, and plant-based antioxidants. Jason Mandala, a farmer and educator, made a simple shift. He started eating kale regularly and his health improved (I hear this story daily now.) His simple shift — just a little more kale — grew into something much larger and more important. This Wednesday, over 8,000 children will eat locally-grown kale chips in 17 schools in Missoula, Mont. Their collective crunch resonates with me, and I suspect with you. We can make a simple shift that is about more than kale: It is about embracing a healthier, greener, more connected lifestyle that builds community and local food culture. 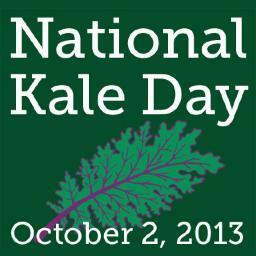 The inaugural National Kale Day is this Wednesday, Oct. 2, and will be held the first Wednesday in October. We want you to join us. This Wednesday, our green band of Kale Heroes and Kale Ambassador are celebrating kale around the country and the world. School cafeterias, hospitals, restaurants, and farmer’s markets will take a bow to the Queen of Greens, and you can join in as our forums will be checking in with them and streaming LIVE using the Google+ Hangout ON AIR platform. • Signing the National Kale Day petition on Change.org, and encouraging your network to sign. • Tweeting and posting about National Kale Day on Google+, Facebook, Instagram and Pinterest #nationalkaleday. • Joining our day of Live Forums on all things kale! Check out the Events. 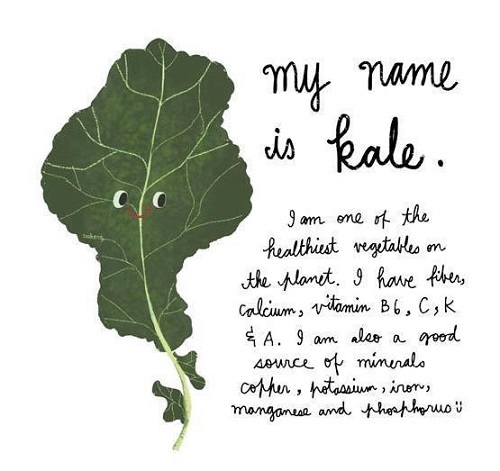 If you wonder what the heck all the kale fuss is about, it’s easy to sum up. Kale means health: a multi-colored superfood from the cruciferous family of vegetables that everyone from vegan to paleo embraces. Yes, almost all plants are a healthy choice, but when it comes to nutrient density, culinary versatility, local availability and value, nothing beats kale. This year my life was overtaken by kale. After the publication of 50 Shades of Kale, all I talk about is kale: I’ve grown, eaten, and shared bushels, and my blood is probably green. But beyond feeling healthy and smarter (This Is You Brain on Kale), my real #kaletale is one of connection. Team Kale came alive with a vision of communities that eat together, that feast on nutrient-dense plants, and that take pleasure in the mutual delight of eating delicious food. My co-founder Chef Jennifer Iserloh and I have felt blessed as organizations and individuals dedicated to the mission of National Kale Day reached out and our numbers grew. Last week, we helped prepare two giant kale salads at the Hoboken Shelter with a Chef Q, an inspirational man who five years ago was homeless. The week prior to we stood in the largest organic kale field in America — a sea of green possibility that swayed in the California breeze. What SuperGreen Powers emerge when you bring together the Kale Crusader, the Joan of Arc Of Kale, Kirsten Beddard, kale legend Bo the “Eat More Kale” guy, a few kale doctors such as CEO and physician Lisa Harris, M.D. (who built a farm on the roof of her hospital) and Physician/Chef John LaPuma, M.D., plus kale farmers such as Jason Mandala, celebrity trainers who make supermodels from kale, and two women who helped create a vegetarian cafeteria in New York City? There is spot on Team Kale for you. I hope you will join us.